Kevin G.M. Volpp, MD, Ph.D.
Harvard College Cambridge, MA, 1989. Freie Universitat, Berlin, Germany, 1990. The Wharton School, Philadelphia, PA, 1998. Dr. Volpp’s work focuses on developing and testing innovative ways of applying insights from behavioral economics in improving patient health behavior and affecting provider performance. 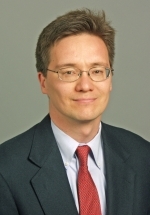 He leads the Penn LDI Center for Health Incentives and Behavioral Economics, 1 of 2 NIH Centers on behavioral economics and health in the United States as well as (with Karen Glanz) the Penn CDC Prevention Research Center. He is the Vice Chair for Health Policy in the Department of Medical Ethics and Health Policy at the Perelman School of Medicine. He has published more than 175 papers based on work with a wide range of employers, insurers, health systems, and consumer companies in the US and overseas in testing the effectiveness of different behavioral economic strategies in improving health behavior and health outcomes. These studies have been funded by the National Institutes of Aging as well as the National Heart Lung, Blood Institute; the National Cancer Institute; the National Institute of Diabetes and Digestive and Kidney Disorders; the CDC;VA Health Services Research and Development; the US Department of Agriculture; Robert Wood Johnson Foundation; the Hewlett Foundation; the Commonwealth Foundation; the Aetna Foundation; Mckinsey; CVS Caremark; Horizon Blue Cross Blue Shield; Humana; Aramark; Discovery (South Africa); Hawaii Medical Services Association; Merck; and Weight Watchers. His work has garnered numerous awards including career achievement awards from NIH for his work on social and behavioral sciences and election into the National Academy of Medicine. Volpp KG, Troxel AB, Mehta SJ, Norton L, Zhu J, Lim R, Wang W, Marcus N, Terwiesch C, Caldarella K, Levin T, Relish M, Negin n, Smith-McLallen A, Snyder R, Spettell CM, Drachman B, Kolansky D, Asch DA. : Electronic Reminders, Financial Incentives, and Social Support to Improve Outcomes after Myocardial Infarction (HeartStrong): A Randomized Clinical Trial. JAMA Intern Med 177(8): 1093-1101, Aug 2017. Troxel AB, Asch DA, Volpp KG: Statistical issues in pragmatic trials of behavioral economic interventions. Clinical Trials: Journal of the Society for Clinical Trials 13(5): 478-483, Oct 2016. Shivan J. Mehta, Andrea B. Troxel, Noora Marcus, Christina Jameson, Devon Taylor, David A Asch, Kevin G. Volpp: Participation Rates With Opt-out Enrollment in a Remote Monitoring Intervention for Patients With Myocardial Infarction. JAMA Cardiology 1(7): 847-848, Oct 2016 Notes: DOI: 10.1001/jamacardio.2016.2374. Jalpa A. Doshi, Joseph State, Victor Lawnicki, Raymond Lim, Li Pengxiang, Michael Relish, Tova Levin, Selena Boyer, Vrushabh Ladage, Joelle Friedman, Andrea Troxel, Kevin Volpp: A Synchronized Prescription Refill Program Improved Medication Adherence. Health Affairs 35(8): 1504-1512, Aug 2016. VanEpps EM, Volpp KG, Halpern SD: A nudge toward participation: Improving clinical trial enrollment with behavioral economics. Sci Transl Med 8(348): 348fs13, July 2016. Jeffrey T. Kullgren, MD, MS, MPH, Andrea B. Troxel, ScD,George Loewenstein, PhD,Laurie A. Norton, MA,Dana Gatto, BS,Yuanyuan Tao,MS,Jingsan Zhu,MS,MBA, Heather Schofield, MS,PhD, Judy A. Shea, PhD, David A. Asch, MD, MB,Thomas Pellathy,PhD, Jay Driggers, MBA, Kevin G. Volpp, MD,PhD: A Randomized Controlled Trial of Employer Matching of Employees’ Monetary Contributions to Deposit Contracts to Promote Weight Loss. American Journal of Health Promotion 30(6): 441-451, July 2016 Notes: DOI:10.1177/0890117116658210. Patel MS, Day SC, Halpern SD, Hanson CW, Martinez JR, Honeywell S Jr, Volpp KG. : Generic Medication Prescription Rates After Health System-Wide Redesign of Default Options Within the Electronic Health Record. JAMA Intern Med 176(6): 847-848, June 2016. Patel MS, Asch DA, Troxel AB, Fletcher MA, Osman-Koss R, Brady JL, Wesby L, Ulrich V, Zhu J, Wang W, Volpp KG. : Framing Financial Incentives to Increase Physical Activity Among Overweight and Obese Adults - A Randomized, Controlled Trial. Annals of Internal Medicine 164(6): 385-394, Mar 2016. Patel MS, Asch DA, Troxel AB, Fletcher M, Osman-Koss R, Brady J, Wesby L, Hilbert V, Zhu J, Wang W, Volpp KG: Premium-Based Financial Incentives Did Not Promote Workplace Weight Loss in A 2013-15 Study. Health Aff 35(1): 71-79, Jan 2016.